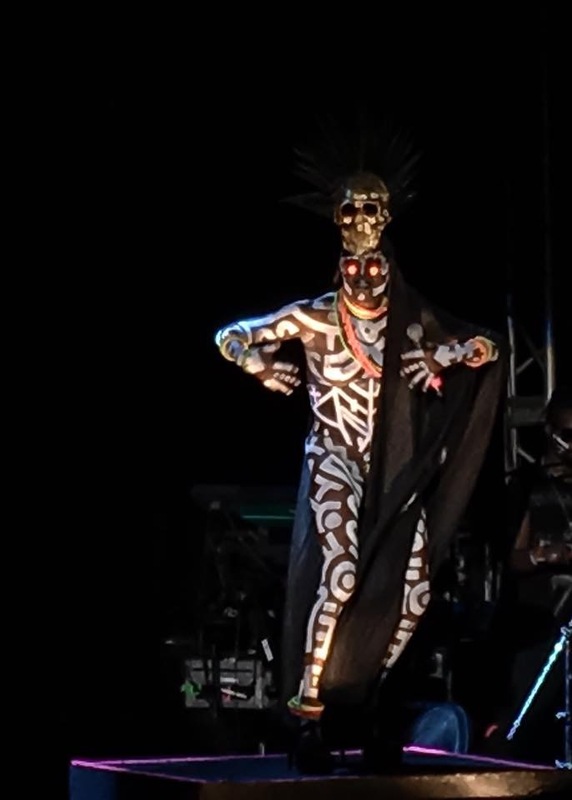 Grace Jones live at Potato Head: The living legend that is Grace Jones recently deigned Bali with her fabulous presence and performed a one-off live gig at Bali’s own party palace, Potato Head. Thrilling holidaymakers, expats, locals, visitors to Bali and fans with her magnetic performance, Grace Jones rocked the joint with her signature sounds, funky vibes and crazy fashion. Fans were treated to Jones classics such as Pull up to the Bumper and Slave to the Rhythm. Grace Jones, famed for art-pop, modeling, acting, producing and fashion is one of the most recognisable figures in the international pop culture scene since the early ’70s. The LataLiana 8 bedroom estate, easily the best villa to rent in Seminyak, is perfectly positioned for visits to Potato Head or any of the top nightspots in Seminyak. Minutes from the beach, this luxury villa in Bali is 10-15 minutes stroll to many popular beach front night spots such as Potato Head, W Hotel, Ku De Ta, Alila Seminyak. So no need for cars, traffic, taxis, motorbikes or hassle. LataLiana Estate, features a 5-bedroom private pool villa, a 2-bedroom private pool villa and a floating 1-bedroom annexe. This ultimate boutique private villa recently hosted top band Five Seconds of Summer and their supermodel girlfriends such as Josephine Skriver.